Hey what’s up everyone? 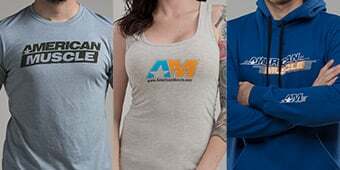 I’m Justin from AmericanMuscle.com and I’m checking out one of the coolest products we’ve seen come along for Mustangs in some time. I’m talking about this wireless iTSX tuner from SCT and Bama performance. This is not your standard issue tuner by any means, this has some really cool features and on top of all that works wirelessly using Bluetooth technology and a free app for your Apple or Android device. We’re going to check out all the cool features with this tuner in a minute but first let’s make some dyno runs to see what our Bama tune did to our 2011 GT. Now we’re going to use my iPad and iTSX tuner to upload our custom Bama tune. 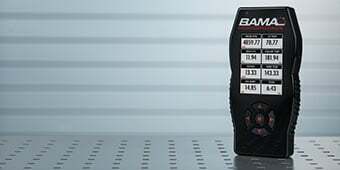 Upon purchasing this tuner you will receive free custom tunes from Bama performance specifically tailored for your ride. 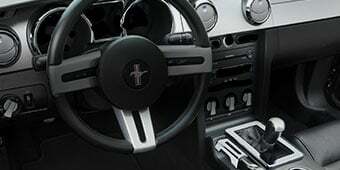 Our Bama specialists ask you’re a series of 19 questions about your particular Mustang and any mods you might have already done and then custom tailor a tune to make the most out of any existing mods. With that custom Bama tune you are going to optimize your spark timing, adjust your variable cam timing, get that air fuel ratio right in the sweet spot and get drastically improved throttle response. 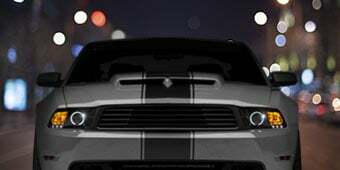 And with our free tunes for life you will be happy to know that any time you add a mod that requires a new tune Bama will create a custom tune specifically for that mod and email it directly to you. First you want to plug in the dongle to your OBD2 port, once your Apple device is paired up to the dongle go ahead and upload the custom tune into your iTSX program. Here you will follow the onscreen directions guiding you through the process of uploading your tune. Once the process is completed, your tune is uploaded and you are ready to rock. Now that we have our tune uploaded lets run our GT one more time on the dyno and see how well we did with our custom Bama tune. 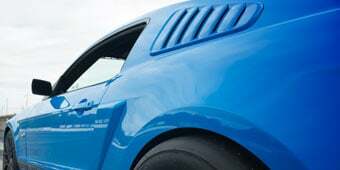 So here’s our baseline curve on our 2011 GT, and here’s what we got with our custom Bama tune, we put down 379 Horsepower and 358 ft/lb of torque, that’s a peak gain of 21 horsepower and a gain of 31 horsepower and 37 ft/lb of torque throughout the curve. Now that we’ve seen proven results from our custom tune let’s get our GT out of the shop and on to the streets and check out some of the other cool features the iTSX tuner has to offer. Now besides being able to handle our tuning capabilities with ease iTSX is also loaded with a lot of other bells and whistles. Now one of my favorite parts is this onscreen data logging and OBD2 real time monitoring; now this will display all sorts of other information on your iPhone, iPad or iPod touch that’s easily readable on the fly. As you can see here we already have a nice big tack, also with our air/fuel ratio, intake air temp sensor, and also our coolant temp sensor. Now these layouts are all customizable depending on the driver to better suit your needs. Another one of the really cool features about this iTSX tuner is the built in performance test, here you will get a general gauge on how fast you do the 0-60 time, your 1/8th and 1/4th mile times, your top speed performance and also your 60-0 performance. Now since we don’t have the luxury of being at a drag strip today we’re just going to test out our 0-60 time in the parking lot and see how accurate it is, so here we go. Press start, and hold on. According to our iTSX tuner we just clicked off 0-60 in 4.1 seconds, which is pretty accurate for this car considering we have 4.10 gears. Our brake time from 60 was 2.7 seconds which is very impressive. Our horsepower and torque numbers are right on par with our Bama tune numbers, we’re looking at 378 horse and 393 ft/lbs of torque. Now while these numbers are not going to be exactly the same as our dynojet numbers I got to admit they are pretty darn close. Now the cool thing is when you are done with this you can hit send, there you go, right in your email ready to be shown to all your friends. Once you’re done that it’s in there ready to be shown to all your friends. Every gear head loves gadgets especially when those gadgets make your car legitimately faster, with our custom Bama tunes, this iTSX tuner does just that and so much more, so if you are looking for a really cool product with all the bells and whistles you could ever want be sure to check out this tuner from SCT. 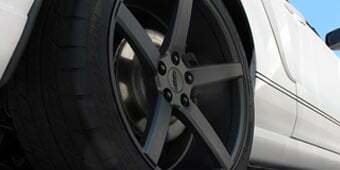 03-04 Cobras have dyno proven gains of 30 RWHP and 35 ft-lb's of Torque or more on Bama Custom Tunes. 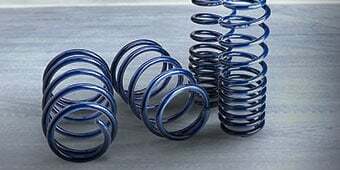 By optimizing the air/fuel ratio and tweaking spark timing, a Bama Custom Tune is proven to squeeze out the extra horsepower that Ford left on the table. 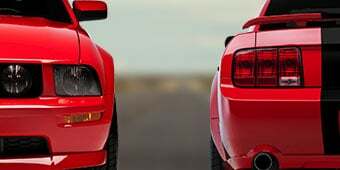 (91-93 Octane) Bama Performance Forced Induction tune files are designed for maximum power and reliability while improving the overall driving experience of your Mustang; however, 91 octane or higher is required. Unleaded race fuel can also be used (Stoichiometric points must be supplied). Custom Bama Tunes specific to your vehicle. When you order a iTSX, you aren't just getting a tuner - you are getting the tuner and 2 dyno-tested custom Bama tunes. Does this work on obd1 ecu’s? It is not compatible with OBD I ECUs. Are you able to keep this plugged in while driving and monitor coolant temps/voltage, etc. ? You can use this while the car is running to monitor vehicle engine data via virtual gauges. custom tune? im all about getting the bama tunes and free tunes for life! but when it comes time to really start puttin a lot of power to the ground with F/I will i be able to get a custom dyno tune from a shop with this programer? Yes, the tuners are able to hold custom tunes from a dyno shop. Just make sure that the shop does offer tuning with the SCT devices and they can load up tunes for a forced induction set-up. Works well with my 04 Mach1. I like how I can adjust the setting at anytime through my phone. I wasn't sure about a "wireless" tuner or even using BAMA tuning prior to ordering this. I've got a few buddies who've used BAMA and had good results so I figured I'd give it a shot. After we ironed out a couple of wrinkles in the tune, my input on some things I wanted different, the tunes are good. They did a great job with my 03 Cobra and I am happy at how the engine is running. Great choice! Bama customer service is great. I send them my modifications and they responded fast back to me. Love it. I purchased the ANDROID TSX before reading any reviews on it. The TSX only took a week to be ordered/programed/shipped. I received it in 10 days from ordering which is great since I'm in ALASKA. Plugged the TSX in and couldn't connect via blue tooth. Followed the clear instructions and voila, my phone turned into my tuner. Now the car runs better than it ever has. Should have done this sooner. Don't believe all the forums online, this thing works as advertised. I have o/r pro chamber with magna flow cutback, and tuner really helped. I actually really felt the difference in throttle response, its really ready to attack now! Very easy to use. A must have!! and fun to use to. i only tried the street tune so far. The horsepower increase was easily noticeable and being able to data log is a big help. Customer care and bama's response are super. I bought this for my 2003 mach 1 mustang and I have the tunes for life now with Bama. First off I'd like to say that Bama does an amazing job with the tuning and customer service! I asked for more power at higher rpms and they made it happen! 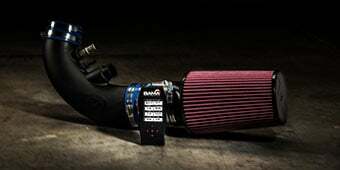 If your looking for something that will tell you realistic hp and tq, your better spending 100 and going to a dyno. What this is great for is easy downloading capabilities, some awesome gauges, and with a cai a realistic gain of about 20 at the wheels! This is pricey but provides exactly what they promised. My '03 Cobra is more alive now. I went from a dyno of 488 at the wheels to 523 with same atmospheric conditions. 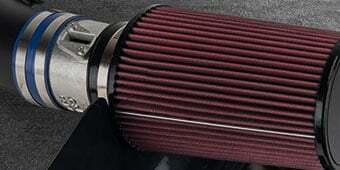 Only mods are K&N cold air intake, ACCU Fab Big Oval throttle body, ported intake plenum, and Bassani exhaust. Low end HP torque decreased while mid and high range torque and HP increased which is exactly what I wanted. Supercharger restriction of 8lbs of boost is now gone and now opens up to 10+ at reline of 6,800 RPM. The new variable cam timing from the tune is slightly better than before which makes it more drivable on the street at low RPMs but more agressive on the race track (not a drag strip but could improve there as well probably). The detination knock in the front left cylinder is gone now as well. iPhone app is easy to use and loads tunes quickly. Only problem now...I need more traction. Street rubber 315s are not enough now. Need to go to track compound. This tuner was worth it when combined with moderate intake and exhaust mods. The app for this tuner needs a lot of work. It crashed a couple of times when I was trying to load the new tune. It would then start to load but at the end tell me that it failed. After a few tries I finally got it to load and save the tune. I took my 04 cobra out for a test drive to see how the car ran. The new tune definitely helped free up some horsepower. The car felt faster and pulled harder. It seemed to boost a lot faster than before. The one thing I learned was you can't leave the tuner in the obd port while driving. It will make your gauges flutter as you drive and at red lights. Overall a good product. The tunes are noticeable power gains. App needs work. The SCT tuner was easy to install on my iPad and easy to upload the custom tune created by the SCT team. Plus you get free tune upgrades for life. By using your iPad you also get added features the assist in analyzing your stangs performance. I really like the idea and it did tune my car but as said it needs an update on the gauges they flicker and some dont work like boost and absolute throtle position and a few more. Other than that they email you the tune if you have a tune for life and its super easy to upload. just needs an update or something is all i mighta just bought the normal one and saved a little money if they cant get it fixed its well worth the extra amount. Overall i like this tuner and the ability to use it with my ipod touch. the only problem i have with it is after everytime i turn it to the the performance test mode. It messes with the speedometer and the tach at random causing the gauges to drop to zero then pop back up repeatedly. It continues to do this until i restart my car. Besides that its great, and hopefully this problem is something they can fix in an update of the app or software. Performance gains with the BAMA custom tunes were very noticeable, only mod at the time was o/r x-pipe.